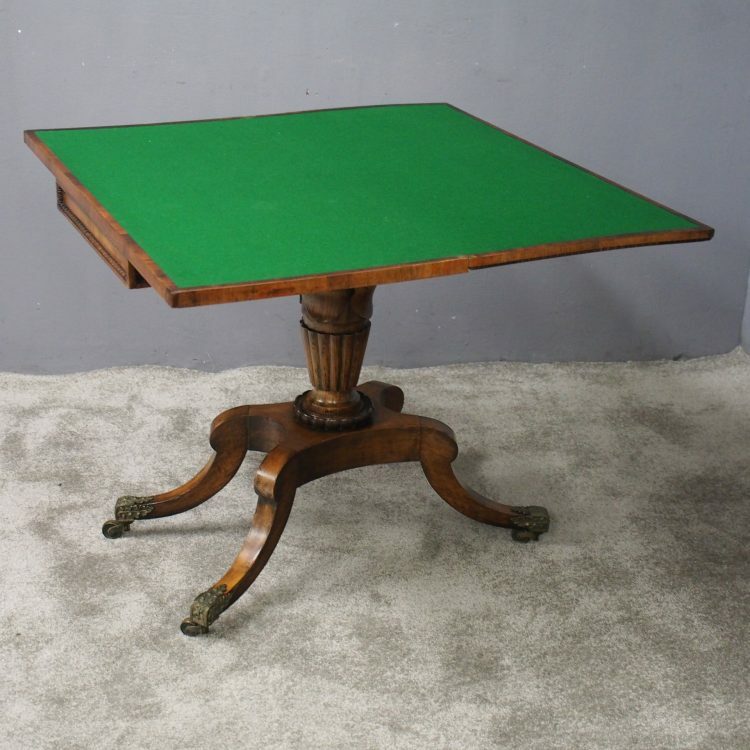 Circa 1800, George III Scottish rosewood, fold over games table in the manner of William Trotter of Edinburgh. 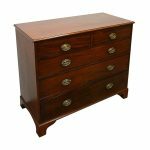 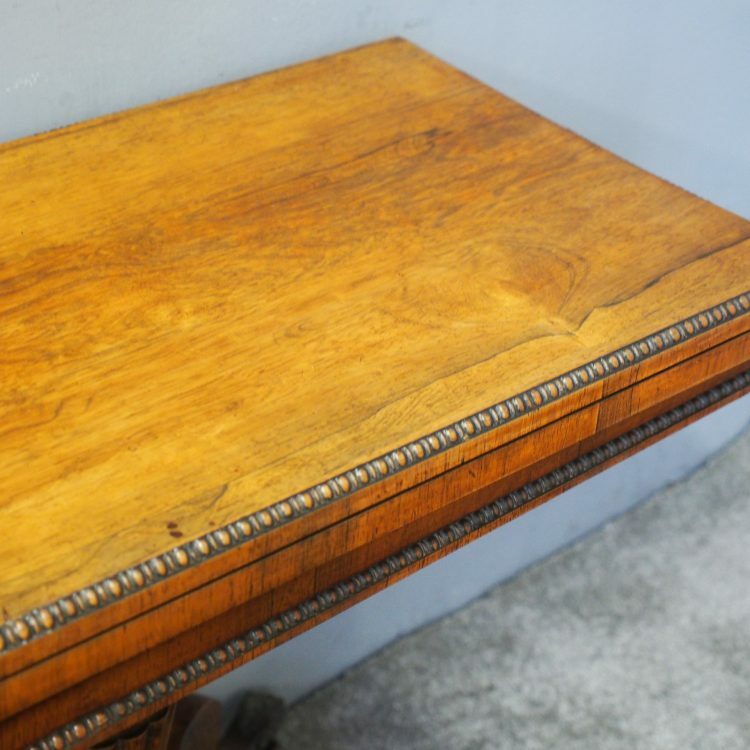 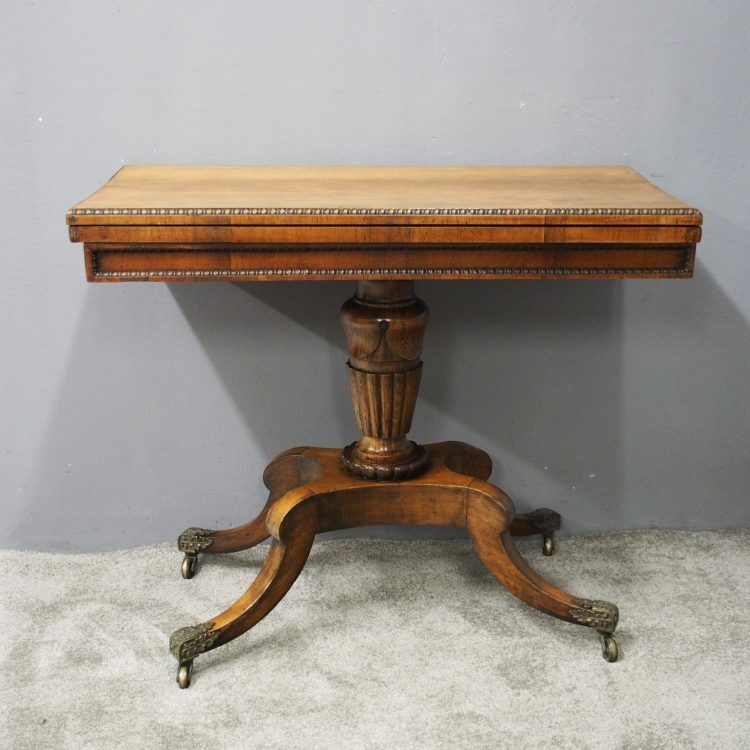 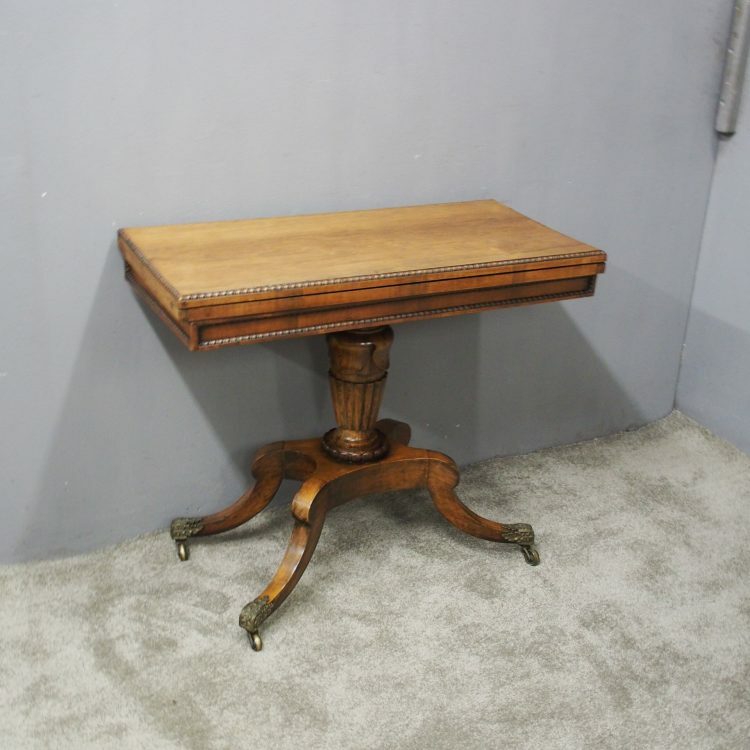 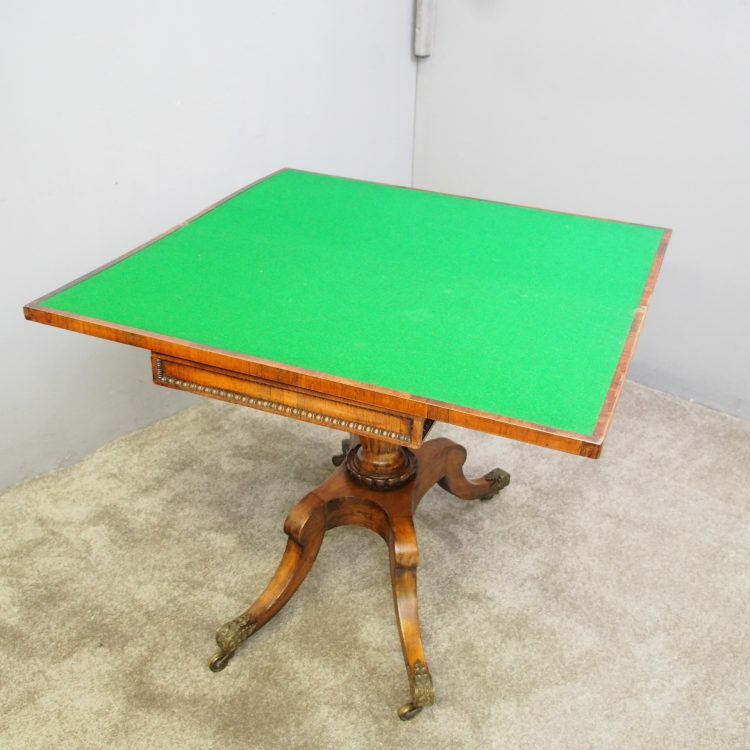 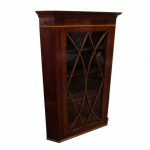 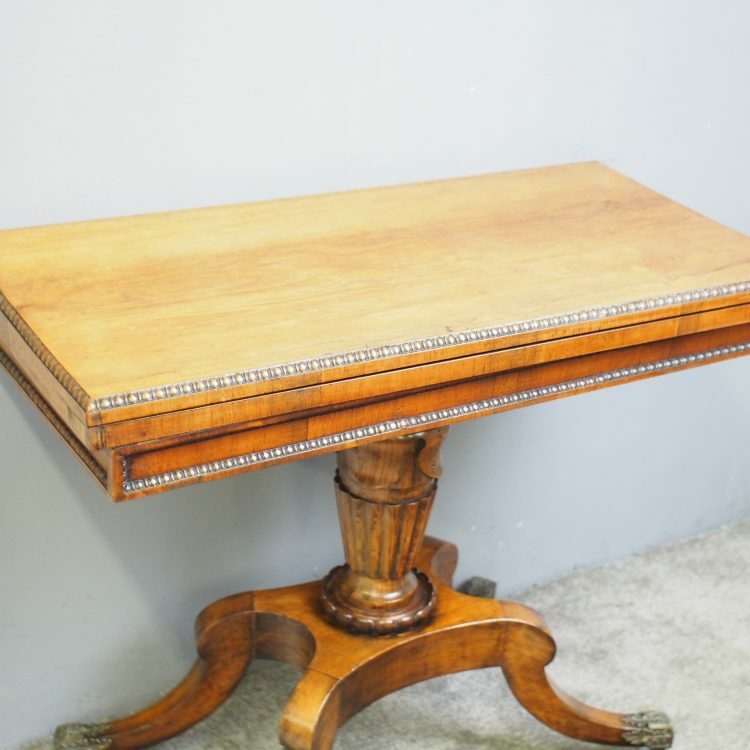 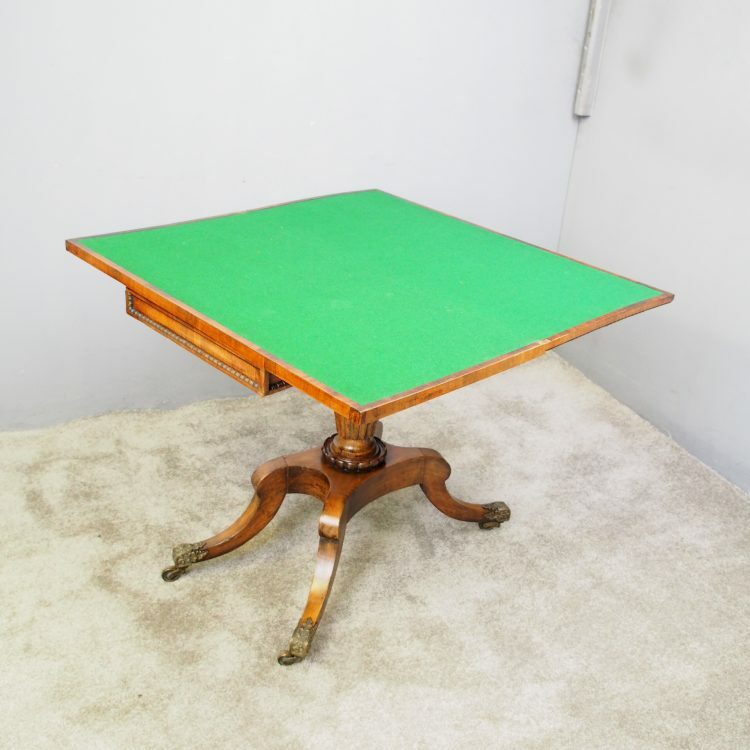 The rectangular top is in figured rosewood with a mellow colour and has an egg and dart beaded fore-edge, which opens to a green baize-lined interior. 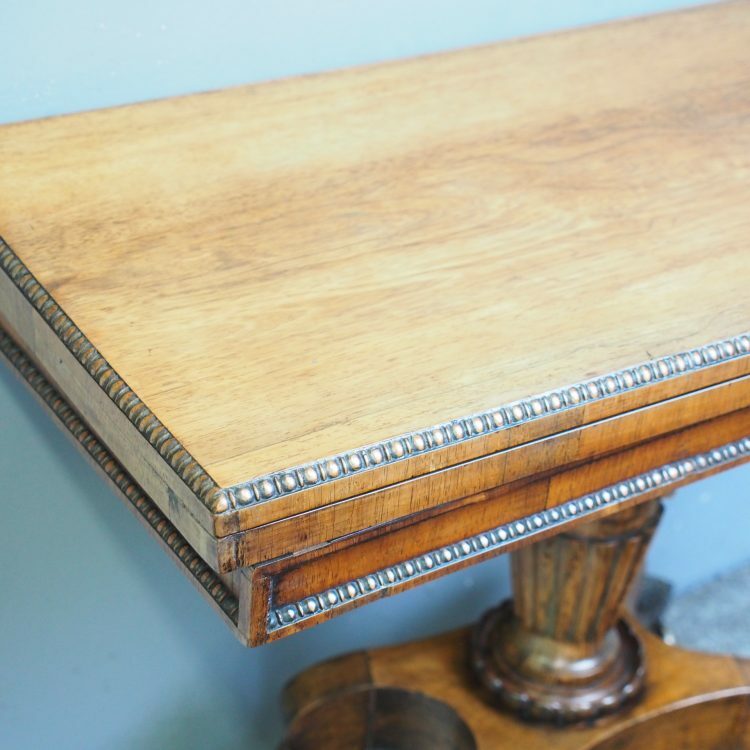 There is a panelled frieze with beaded mouldings, which is on a foliate carved and fluted tapering support. 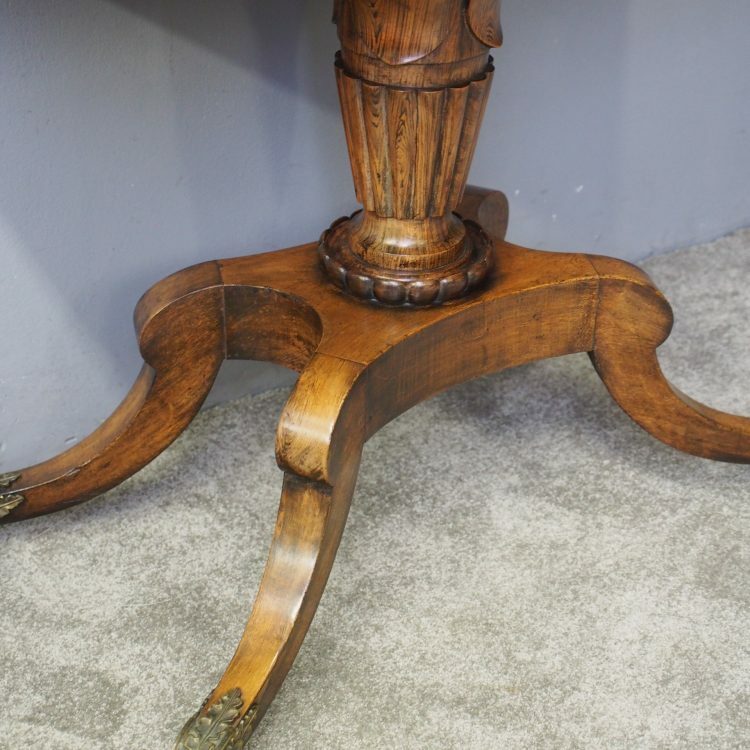 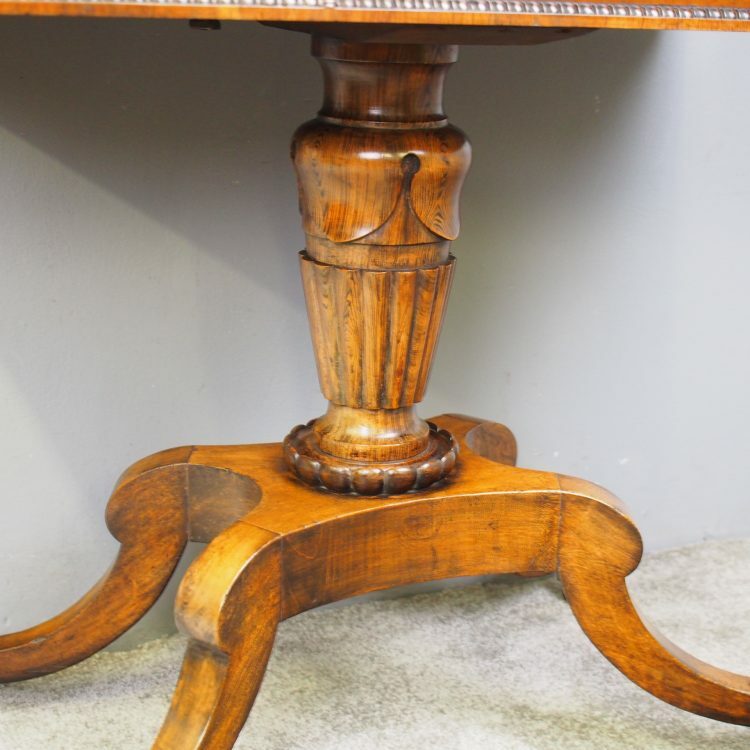 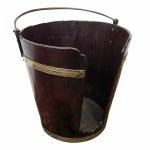 This has a ribbed collar and is over a shaped platform base, finishing on hipped cabriole legs with unusual oak leaf brass caps and castors.